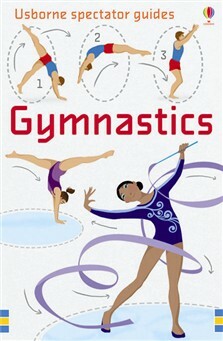 If you don't know the difference between Artistic, Aerobic, Acrobatic or Rhythmic Gymnastics, this pack of 50 fact-packed cards is just what you need to get the most out of watching gymnastics. Each event is explained simply and clearly, step-by-step diagrams illustrate the different techniques used by gymnasts, and there are lots of facts and statistics you can use to impress friends and family. Includes information on the techniques and apparatus used, how athletes are scored in major competitions and hints and tips on how moves should be executed and common errors to look out for. A brilliant companion for spectators of all ages, whether they are gymnastics enthusiasts or complete beginners.